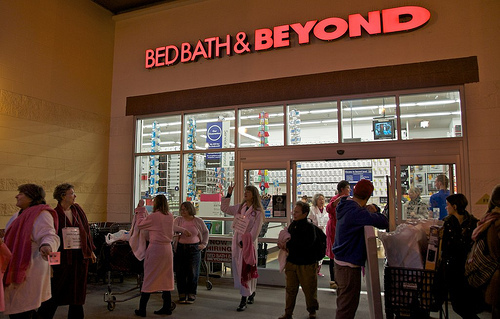 $50 Bed, Bath & Beyond Gift Card 6-Hour FLASH Giveaway!!! A few AWESOME Bloggers have teamed up to give you this wonderful $50 Bed, Bath & Beyond Gift Card! We believe in quick, small, and easy giveaways! Our giveaways only have a FEW entries to fill out and you will know if you WIN in just a couple of hours! WHAT FUN! Good luck on this 6-hour flash giveaway! See you back on Wednesday for another great FLASH giveaway! * NOTE: You can choose PayPal or Amazon GC instead of the Bed, Bath & Beyond GC if you are the WINNER!!! 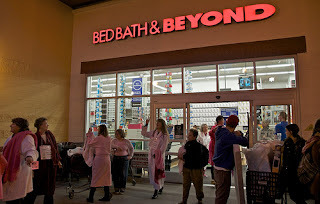 I've actually never been to a Bed, Bath & Beyond.So I can't answer that question. I like looking at comforters and kitchen utensils and organization "stuffs". I usually look for organizational products such as pull out drawers/racks for the kitchen and bathroom. I've never been there so that's why I'm glad I can choose Amazon when I win. Thanks for the contest. At Bed Bath & Beyond, I look for back-to-school items for my son, who attends college out of town. Clearance, As Seen on TV stuff, and K-cups! Usually some sort of new kitchen gadget!!! Bedding and Cool Kitchen Gadgets! I buy Tervis cups at BBB. I love everything there :) I normally look at their season items first though :) Just a few weeks ago I found some really cute summer plates, discounted! !